11 Nov 2016 Only! 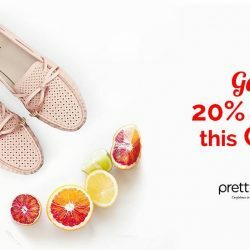 prettyFIT / BeetleBug: Single’s Day 20% OFF Flash Sales Online! 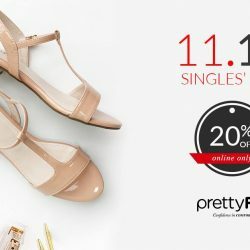 Treat yourself and buy the shoes you've always wanted on Single's Day (11 Nov 2016) and enjoy 20% off on all regular items at prettyFIT and BeetleBug! Prices will be discounted upon check out. Sign up and get S$5 off when you open an account with us at www.prettyfit.com.sg + FREE deliveries for your orders to SG, M'sia & IND! 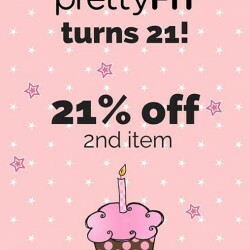 prettyFIT turns 21! Join them in their month long party as they have lined up a host of festivities specially for you this entire month! First up is 21% off your second item for all regular purchases in their boutqiues. Valid for prettyFIT only. 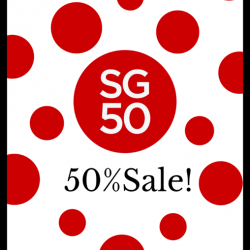 Enjoy All sales items at 50% in stores and online click here, @ prettyFIT, valid until 10th August! FREE delivery in Singapore!